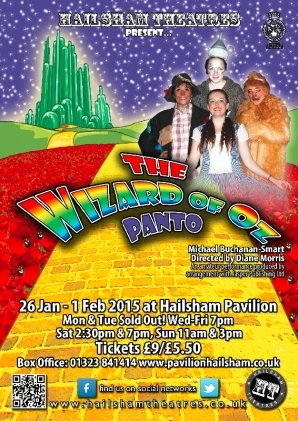 The Wizard of Oz Panto Tickets On Sale! Tickets for The Wizard of Oz Panto are on sale now. Don’t miss out and book early for the popular weekend shows. 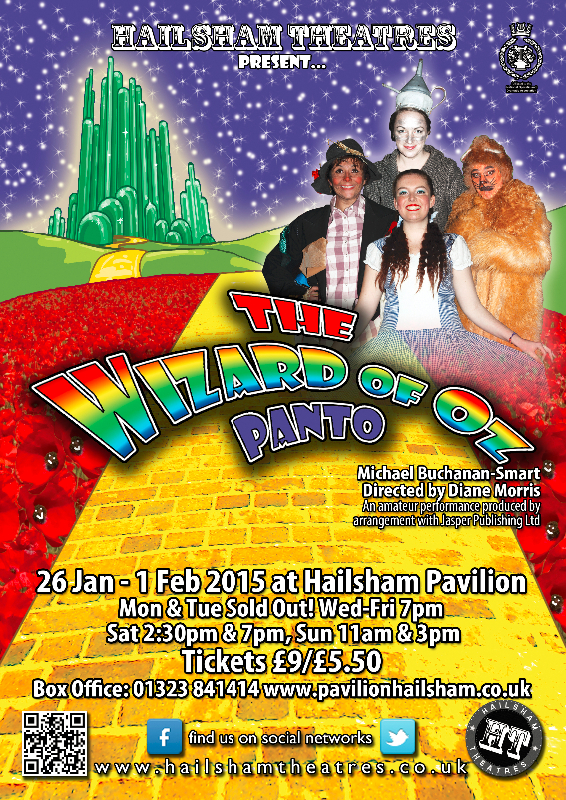 The Wizard of Oz Panto runs from 26 January 2015 to 1 February 2015 at Hailsham Pavilion. Call the Box Office on 01323 841414, call in to the Pavilion in person or book online here.